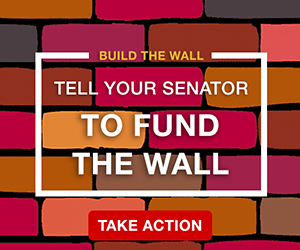 President Donald Trump’s proposed trade-offs to build his promised border wall give generous concessions to illegal aliens while getting little in return for the American people. 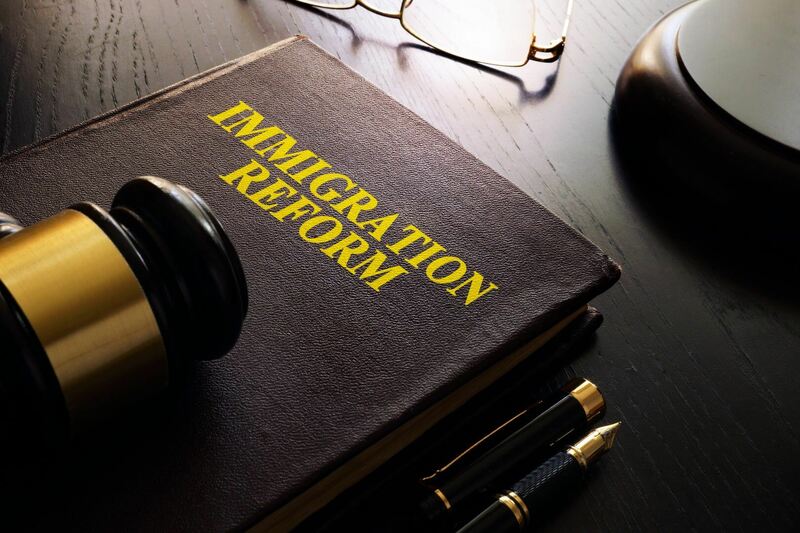 Though there are some worthwhile components in the proposal, any deal that seeks to trade amnesty – in this case the extension of an amnesty – for more robust immigration enforcement is a bad deal. Three more years of protection to more than 700,000 illegal aliens in the DACA program (Deferred Action for Childhood Arrivals), giving them access to work permits and Social Security numbers. Three-year waivers of deportation to 300,000 illegal aliens currently on Temporary Protected Status (TPS). As Ronald Reagan famously said, there is nothing more permanent than a temporary government program. That would certainly apply to this amnesty. If we extend it for three years, it will become permanent. Further, any deal that codifies DACA before a Supreme Court decision is rendered (which will not even be heard until the fall at the earliest) undercuts the administration’s position that the program was unlawful. Without a final judgment from the high court, a future administration could go down a similar path and award amnesty to millions more. All that being said, there are some pleasant surprises in this package. The amnesty component is not as bad as the pending BRIDGE Act legislation, which, while marketed as a mere extension of DACA, is anything but. The BRIDGE Act offers three-year work permits to an unlimited number of illegal aliens who claim to be born after June 15, 1981 and say they have lived in the U.S. between 2007 and 2012. Also, under BRIDGE, the Department of Homeland Security secretary would be required to grant amnesty to any alien who files documents – real or fake – unless officials can quickly prove documents are fraudulent. Essentially, the burden of proof is placed on enforcement officials to prove in immigration courts that an alien is not eligible for amnesty – something that could take years. With the new proposal, three-year work permits are only extended to the million or so people enrolled in DACA and the TPS program. The bill limits future TPS eligibility to foreigners who are lawfully present. As FAIR has long noted, the vast majority of those who currently have TPS were in the United States illegally at the time of political or natural upheavals in their homelands. TPS should only be available to those who are here in the normal course of affairs and may be expected to return to their homeland at the earliest opportunity. That is not the case with illegal aliens, and they should be excluded. The Trump plan also contains some necessary asylum changes to address the humanitarian crisis of Central American minors, but leaves out the Flores Amendment and other magnets that continue to drive the crisis. The bill creates a capped in-country asylum processing program for Central American minors, and reallocates State Department funds to establish in-country processing in Northern Triangle consulates and embassies. For this to have the desired humanitarian result, the bill also amends the Trafficking Victims Protection Act to ensure that those who circumvent the process can be promptly repatriated. Democratic leaders in Congress have rejected all of this. Refusing to even consider the administration’s proposal (or put up one of their own) until the partial federal government shutdown is ended, the party brass declared Trump’s plan dead on arrival. Their irresponsibility is matched only by their hypocrisy. Senate Democratic Minority Leader Chuck Schumer, a one-time wall supporter, dismisses the proposal as not worth discussing. Such mulishness might save mush-minded Republicans from themselves, and spare the country from yet another amnesty scheme. Trump’s offer doesn’t do enough to close loopholes for asylum seekers and unaccompanied alien minors. Nor does it contain E-Verify provisions to block employment of illegal aliens. Democrats could have a win-win situation by negotiating in good faith on border security. Doing so would comport with their professed desire to get the government back to work while defending the economic interests of Americans battered by waves of illegal immigration. But as the stalemate in Washington drags on, the rank partisanship and crass motives of Democratic Party leaders are laid bare. Though their intransigence may put the brakes on this bad deal, Americans demand and deserve a much better one going forward. More numerous masses will come to united states. They already number hundreds of thousands every month; that figure will increase to millions, then tens of millions. The United States will be the most popular destination and ‘In twenty years, the Hispanic and African-American populations will almost make up a majority in the United States. Im waiting for Dems 2 be No shows on 2-15 & PresTrump declares Emergency & builds the Wall. & No DACA should not acess SS #s.
Too much ID theft alone. Over a measly $5.7 border bill. Give Trump the money and shut up OBP, we’re sick of your hypocrisy. A few days ago NBC showed a video they had taken on the southern border. A van pulled up within yards of the border, which had only a very low vehicle type barrier, and the dozen or so illegals in the van simply dashed across the border and were long gone inside the country in no time. This is an example of what the Democrats insist will stop illegals because they say drones will detect them crossing. Well yes, it would detect them and nothing more than that. Delay them in any way? No. Help border agents catch them? No. If not combined with some kind of barrier, drones and sensors will do nothing. But one would have to believe that the Democrats actually want the border secured. But name anything that Democrats favor that would control illegal immigration. Any physical barrier that just a decade ago they were all in favor of? No. E-verify? No. Prosecute those who steal or make up SS numbers? No. Have local authorities cooperate with ICE to turn over criminals, even those who have committed serious felonies? No. Deny licenses, welfare, to illegals? No. Something, anything? No and no. A bad weekend for the integrity of the media. Before the Mueller team said there was no truth to the Buzzfeed story about Trump telling his lawyer to lie to Congress, almost all the media was treating it as legit, even though they were saying “if true”. What they failed to do, which sites like Breitbart did, was to point out that one of the two reporters, Jason Leopold, had a long history of completely fabricating stories. Then there was the coordinated attack on the high school kids from Kentucky who were the target of an edited video. A viewing of the complete videos taken over an hour in time shows that they were the victims of four black radicals who called them all kinds of names, and that the Native American activist had approached the students and not the other way around, as he initially claimed. Meanwhile media figures and celebrities used twitter to urge violence on the students. Beyond disgraceful. But not unusual. Trump was willing to give away nearly the whole Candy Store to the Dem’s. They didn’t take it, and they won’t, as long as he withholds a single licorice twirl! They’ll settle for nothing less than a human tsunami of “Undocumented Democrats” flooding into the country. There’s no negotiating with these people. Time to declare that emergency and get the US Army Corps of Engineers down to the border, Pronto!